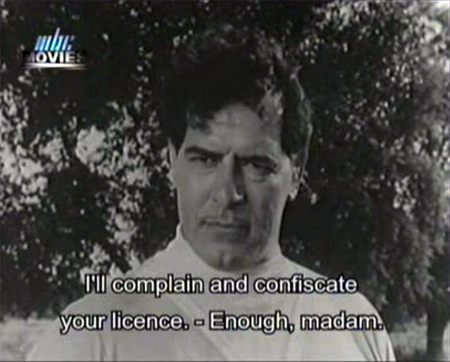 A Dara Singh film with subtitles is always reason enough for celebration, even if the film itself is a little less entertaining than it might be. This one resembles in style and substance a bunch of gleeful little boys wreaking havoc on a playground (or at least wanting to wreak havoc while acknowledging their limited budget), which is good enough for me. Besides TWO of Dara, disguise freak and B-movie staple NA Ansari is on board with a host of villainous and comical henchmen and two lovely girls (Sanjana and Renu) to provide relief from the wrestling and fisticuffs. It starts off gangbusters as the credits roll after a brief but stern warning to parents that if you eff up your child-raising responsibilities the deterioration of society is your fault. 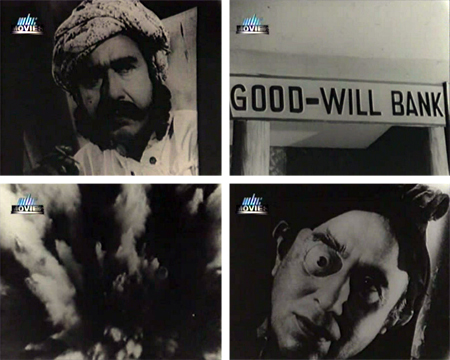 Footage of banks being robbed, explosions, newspaper headlines and a series of portraits of the criminals responsible, all of whom are NA Ansari, bombard the screen. Seriously, we might not even need Dara. Ha ha, just kidding! Of course we need Dara. He is Shankar, the good-hearted owner of a local gas station and garage. His assistant Gopal (Johnny Whiskey) is an idiot and Shankar is forced to defend him against an angry customer named Ratna (Sanjana), a dancer at the nearby London Hotel. I just want big hair and head scarves to come back in style. You know what they say: the higher the hair, the closer to God! The owner of the London Hotel is none other than our master criminal and object of an India-wide police hunt, Madan (NA Ansari). I am delighted to see Shetty sporting a big dent in his shiny head as the hotel manager and front-deskwala Lalu. and he wants the money that Madan owes him in order to go straight now that he’s been sprung from the Big House. Madan wants him to return to crime again, but Lala wants to find a nice girl and settle down to a decent life. 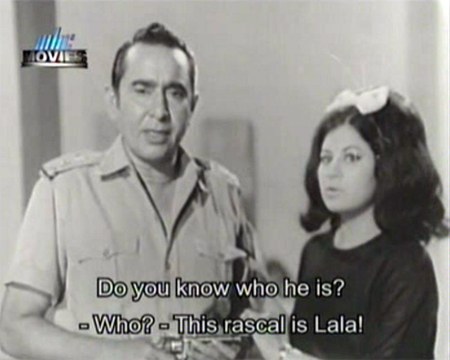 Ratna catches his eye when they go down to the hotel club and she dances with another girl named Bela (Renu). The music director for this film is someone named Jagdish Khana—new to me, but I think the songs are lovely. Now we get a glimpse into Madan’s working methods. He sends Bela (who is also his girlfriend) to scam a jeweler using the exact same scheme seen in the later Apradh (maybe based on a real-life incident?). 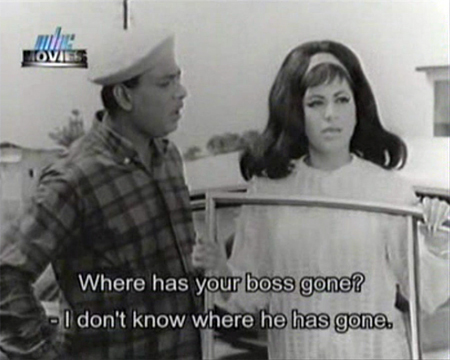 She escapes with a diamond necklace and ends up at Shankar’s garage just as the police arrive there too. Worried, she slips the necklace into the pocket of a jacket Shankar has left draped on his car window and thus escapes detection when the police ask to search her car. 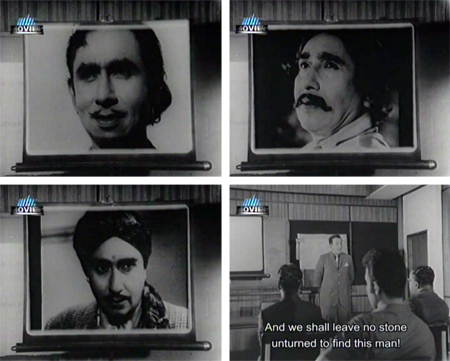 Unfortunately, Shankar leaves on an errand while they are still searching. But the vicissitudes of fate swing back her way when he shows up later at the London Hotel accompanied by his friend Inspector Shirish (Azad, I think) and the hapless Gopal. 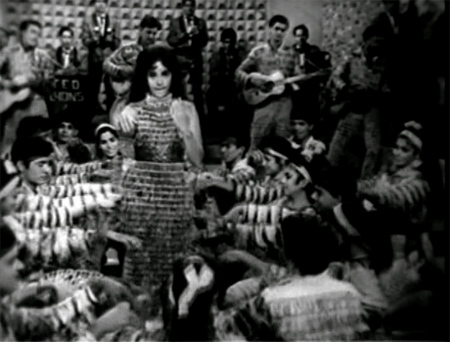 Bela tells Ratna to retrieve the necklace from Shankar’s coat pocket and she entertains with a dance (the catchy “Ae Sanam Kuch Kehna Hai Tumse”) while wearing a fabulously fringy outfit made from some Boxer leftovers. I can’t find the songs online anywhere, so here’s this one for your listening pleasure. Lala is in love with Ratna himself, and Madan has promised that he could have her (grrr) but she rejects him when he comes to see her. (There are references made throughout to the girls being helpless “slaves” to Madan although it doesn’t really lead to anything.) Lala is upset until she shows him the photo of Shankar she found in his wallet. Is Shankar also Lala? Is he playing an elaborate game with Madan? Can Ratna rescue her beloved from her Boss’s clutches? Will the police ever manage to catch Madan and his gang? WATCH Gunahon Ke Raaste to find out! SEE Shetty and Dara locked in mortal combat! GASP as Bela pretends to be Japanese! MARVEL at the vintage (stolen) footage of paratroopers jumping from WWII planes! THRILL to the electronics of Madan’s Torture Chair! 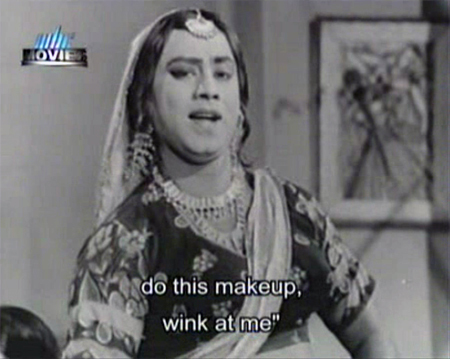 LAUGH as Johnny Whiskey channels Mehmood in drag! There are plenty of plot holes and ridiculousness as you’d expect, and it’s not quite as *energetic* as small boys at recess, but there is still plenty of enthusiastic good fun (and songs), not to mention enough dire warnings to set any mischievous urchin straight. 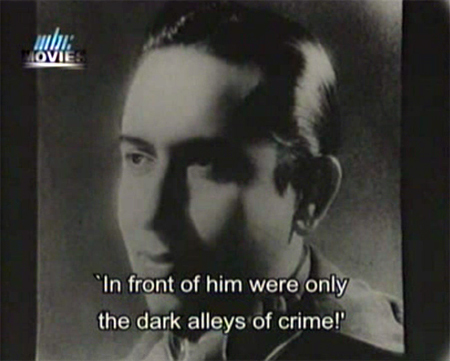 Turn away from the dark alleys of crime, sons of India! Turn away! Dara is such a wonderfully dependable kind of fellow for a lazy afternoon movie. Love him, I do. Posted on July 13, 2010 at 4:19 pm in Hindi movies	| RSS feed You can skip to the end and leave a reply. Hmm…as usual, a very good review. Never heard of this movie but sounds like a fun B-movie – with NA Ansari, Dara Singh and unheard-of (for me) actresses like Sanjana and Renu. And Shetty is always great to watch in a movie anyway. So who does Dara wrestle in this? Shetty? Somehow I cannot see Shetty as a wrestler. I’ve never seen Sanjana or Renu before either, at least not in big roles. This is likely the same Sanjana though and she’s had parts in plenty of films I have seen. She is very pretty and a competent dancer anyway. Shetty is appropriately menacing, and he fights with Dara although there isn’t a lot of wrestling involved. Plenty of punching and grunting and pushing though. “You know what they say: the higher the hair, the closer to God!” – LoL! A B&W movie was a rarity in the 1970. From what I know the last B&W Hindi movie was Anubhav (1971) starring Sanjeev Kumar. Anyways, a good review as always. 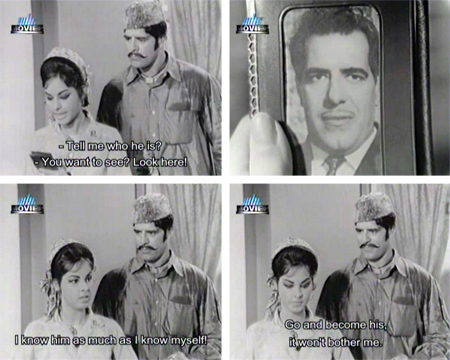 Did you get your hands on Ghar Ka Chiraag (1967) starring Dharmendra and Waheeda Rehman? Possibly, but I think that Shetty debuted in movies maybe in 1969. Even that does not seem to be the year of B/W movies except for Khamoshi starring Dharmendra (guest appearance), Waheeda Rehman and Rajesh Khanna. Oh no my friend, Shetty was around way before 1969 :) I’ve seen him in films as early as 1960, maybe even earlier (he was in some of Shammi’s first hits). 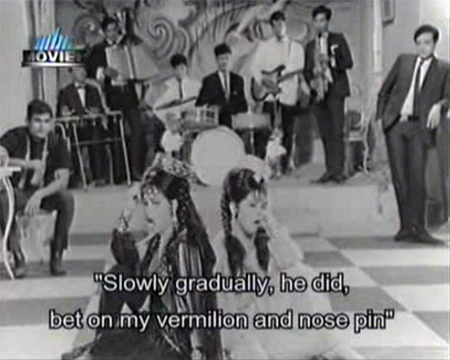 Dara’s Choron Ka Chor also released in 1970 and was black & white so budgetary restraints may have still been a consideration. But certainly color was much more common at this point! 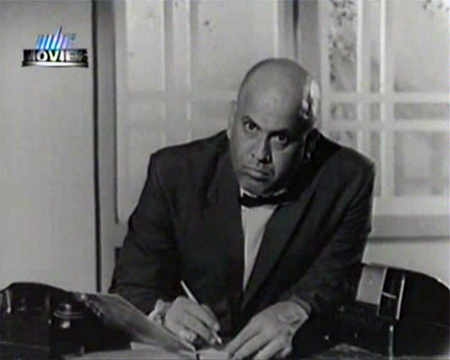 In Heer 1956, as M B Shetty/Master Shetty as Fight Instructor. Truly a man of all seasons, spoke less but his face showed everything he wanted to express. Yes, never seen Sanjana and Renu in big parts. 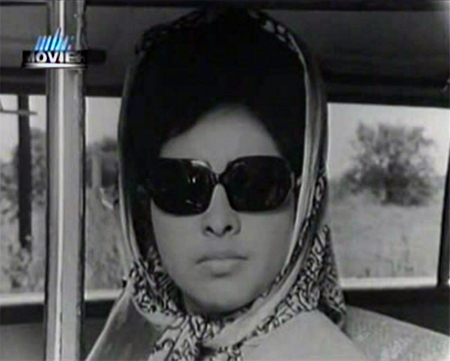 Doesn’t Sanjana look like Priyanka Chopra in the first screencap, with big hair and glasses. Well of course I want the bow too! She does look like Priyanka, you are bilkul correct! :) It was fun to see her and Renu in this, they had a lot to do and they were good. The Master of 1001 disguises N A, the menace of Shetty and the humble and gentle Dara, the new ladies Renu and Sanjana, humming tunes, really can not ask for more entertainment. We’ll have to see if I understand what’s going on with Jung Aur Aman :) No subs!!! This was a fun film though, was very excited to see it. 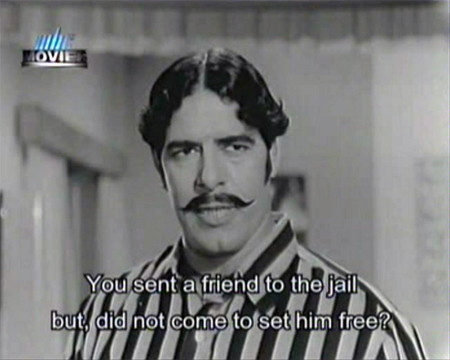 Oh Man, how has this Dara Singh movie missed my grasp! I don’t think I have noticed it for sale anyplace….but I am a-looking now! I have long been curious about Sanjana and whatever became of her. She seems to have racked up a good lot of B movie roles. Oh, Sanjana, where have you gone??? Pls allow me to share some sad news with your readers here G, mayb not the correct Forum but since it is active, we must share the loss of one of the best Saxophonists in the world, who passed away namely Manohari Singh. 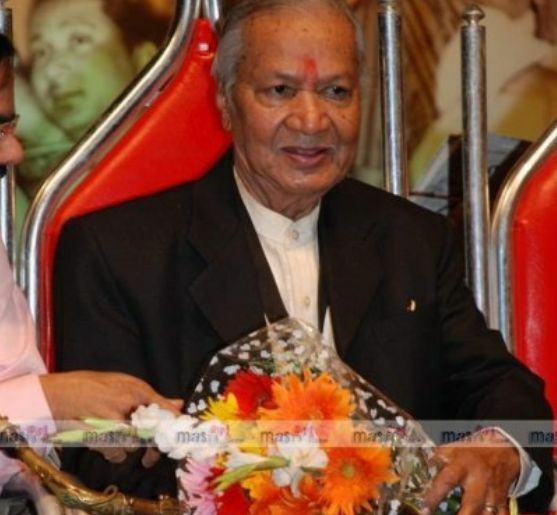 R.D.Burman’s close associate Manohari Singh dead. Wow, what a career! He must have had great memories and stories to tell. Thanks Ash. This movie picked on Mauritius Broadcasting Corp. by one of our Groups who stays there and by jove MBC has really been putting out some real rarities, as these are so hard to get here in India, so a fab job by this member and MBC. From where did you unearth this film. Seeing Johnny Whiskey —– well, well I was nostalgic for the 1960s and 1970s. He disappeared sometime in the 80s. I do not know what happened but I remember him as a wonderful mimicry artist. I haven’t seen Johnny Whiskey in much, at least not much that I’ve noticed him in. His song and dance dressed as “Chandramukhi” was hilarious, and he was GREAT in it. I’ll have to look into more about him! 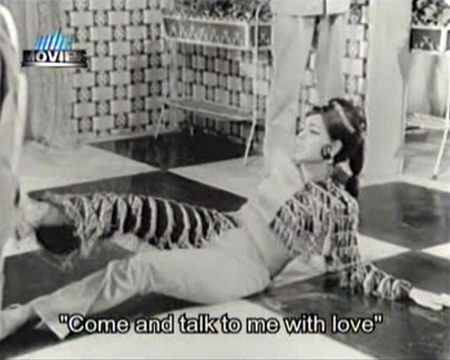 Lol, the Bollywoodians always seem quite content to “talk with love” rather than *make* love, don’t they? Gotta hand it to them though, they have some of the best professional names I ever heard: Johnny Whiskey? HAHAHA! Johnny Whisky was an Indian actor. Johnny Whisky was born Sheikh Zennul Abdeen on Monday, February 8th, 1932, in Hyderabad, Andhra Pradesh, India. His zodiac sign was Aquarius, and in Chinese astrology, his sign was that of the Monkey. He died on Thursday, December 7th, 2006 at the age of seventy-four (74) in Mumbai, Maharashtra, India. As an actor, Johnny Whisky has performed in movies such as “Dil Ki Rahen”, released in 1973, “Saheli”(1965), and “Maa Ka Aanchal”(1970). The main artistes were Manna Dey, Talat Mahmood, Nitin Mukesh (for Mukesh numbers) and a guy called Chetan (for Rafi numbers). There were Sharada and Usha Trimurti too. It was a lovely, lovely evening with beautiful songs, esp from Manna Dey and Talat Mahmood. It was also the first time I heard songs like “jhoomta mausam mast maheena” and “hain sab se madhur wo geet”. The reason I am mentioning this here is that the comedy component was provided by Johnny Whiskey. There are two Indias – the cities, and the rest of India. Maybe today, due to TV and the net, the difference is not so stark but when I was growing up, they were two completely different worlds. At that stage in his career/life, Shankar was doing stageshows in even remote parts of the country and therefore ended up coming to my place. He probably did not realise what a difference his show made to people, otherwise starved of such entertainment. Today’s situation is different, people have plenty of entertainment channels but maybe today’s performers too should venture a bit into “the rest of India” instead of just the cities or overseas. I know it will invariably come down to money but in a sense, don’t they belong to ALL their fans? I am a very big fan of Dara Singh’s movies.Nowdays uploading Dara Singh’s rare movies songs on my youtube channel (boblovenyc).Dara Singh’s movies music is very rare and beautiful by Usha Khanna,Ganesh,Hans raj bhel,S.Mohinder etc.Sanjana got some movies with Dara Singh like Chalbaaz,Apna khoon apna dhusman. Thanks to memsaab for chooseing this movie.I am a very big fan of Dara Singh’s movies.Nowdays uploading Dara Singh’s rare movies songs on my youtube channel (boblovenyc).Dara Singh’s movies music is very rare and beautiful by Usha Khanna,Ganesh,Hans raj bhel,S.Mohinder etc.Sanjana got some movies with Dara Singh like Chalbaaz,Apna khoon apna dhusman. Shetty’s first movie is AJIT & SHAKILA starrer 1961 movie Neeli Aankhen.He got just one chip in that movie where he opens door for AJIT & Helen.He has done so many superhit movies in 70’s till mid 80’s but his first name was always unknown.Memsaab if you now plz tell me. Ansari in his all movies tries to trick everyone.I always laugh when see this short man with overcoat and hat.Some of his movie like Black cat,Ustad 420,Wahan ke Log got very beautiful music I never miss his movie. I love Dara, but I cannot watch films on youtube :( The quality is so bad it irritates me, plus there are never any subtitles. I have Neeli Aankhen but haven’t watched it yet–another fIENDS release, which scares me. Memsab..it is sad that videos of Dara Singh’s movies (particularly action movies) of late sixties and seventies are rarely found in video parlours.i am frantically searching for’Phir Aaaya Toofan’.Please write a review of this movie if you have watched it.